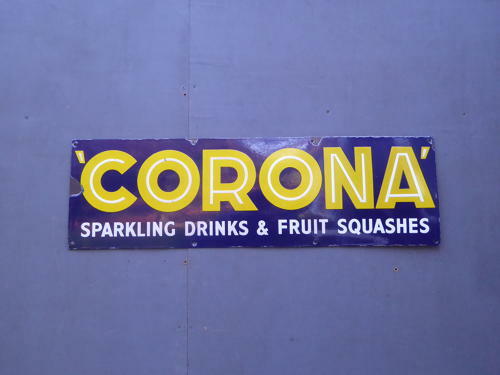 A fantastic vintage enamel advertising sign for Corona Soft Drinks. An stunning example in an eye catching design & super vibrant colours, retaining an excellent gloss. Wear commensurate with age, exceptional overall, a couple of original fixings are let on the holes on one end, clearly part of it's past & does not prevent a wall mount using the other holes but can be removed if required.